Headlines, hot news, and conversation starters on May 9, 2016! 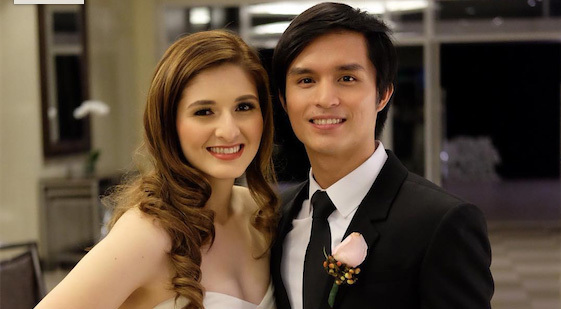 1 Congratulations are in order for Japoy Lizardo and Janice Lagman! The two finally tied the knot on May 8 in Tagaytay. So happy for you two! 2 Iya Villania and Drew Arellano are expecting a baby boy! The couple broke the big news during a gender reveal party with their close family and friends on Sunday, May 8. Congratulations, you guys! 4 Check out this cute clip of Nadine Lustre riding a tricycle with hairstylist Paul Nebres to beat the traffic to get to her event! Paul originally uploaded the clip on his Snapchat, but fans were quick to download and upload the video on their fan accounts. You gotta do what you gotta do, right?! 5 Today, May 9, 2016, is our country’s national elections. Do go out and vote—the future of our country depends on it. Voting will be open from 6 a.m. to 5 p.m. For voting guidelines, click here!